Elgruvan Mobil service i Uppsala Vi Lagar Nästan Alla Smartphones & Surfplattor Såsom iPhone, Samsung, Sony, Huawei, LG, HTC & One Plus Till Dagens Bästa Pris.Vi Har Många Års Erfarenhet Av Mobil reparation Och Kan Därför Erbjuda Service Av Hög Kvalitét. Vi utför professionell reparation och service med 12 månader funktionsgaranti på delen vi byter ut. Välkommen till Elgruvan, din lokala mobilservice verkstad i Uppsala! Ni hittar oss i Gränbystaden. Mobil Service There are 144 products. 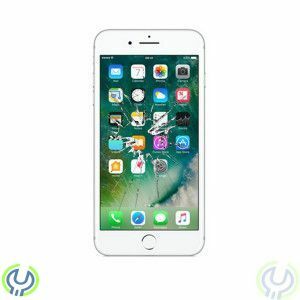 Mobile Service & repair of iPhone / iPad. Do you have a damaged screen, a broken glass, a flashing display or moisture damage and we will help you. Elgruvan can help you to prepare your iPhone / iPad, regardless of fault. and of course the warranty on the repair. We perform screen replacement / repair your broken Samsung usually within 1 hour or the day. We use only the original parts, alternative high quality OEM products and of course the warranty of your repair. Mobile Service & repair of Sony Xperia. Elgruvan can help you prepare your Xperia regardless of fault. We use only the original parts, alternative high quality OEM products and of course the warranty on the repair. Mobile Service & repair of Huawei. Elgruvan can help you prepare your Huawei.